In the second post on Canada’s 8 top Universities that were ranked in the world top 200 Universities by the Times Higher Education World University rankings for 2016-2017, we take an in-depth look at the Universities of Alberta, McMaster University, University of Waterloo, and the majestic University of Calgary. The University was founded in 1908 and has its campuses in the city of Edmonton. Having made a significant contribution to the city’s social economic programs, it is estimated that the University generates $ 12.3 billion annually to the Alberta economy. The University currently has a little less than 40,000 students with over 150 countries represented. The University of Alberta has the vision to be one of the best Universities in the world, dedicating itself to the promise made by its decorated founding president Henry Marshall Tony, who said; “knowledge shall not be the concern of scholars alone. The uplifting of the whole people shall be its ultimate goal”. Courses and research about palaeontology are one of the distinctive points of focus for the prestigious University, however, public health was also the first dedicated faculty for disease prevention. Public figures include Joe Clark (prime minister), and Nobel Peace Prize-winning physicist, Richard E Taylor. The University also has many prestigious Alumni who are fuelled by their belief and spirit “To do Great Things” and have collectively founded over 70,000 organisations around the world, a third of which are non-profit or have a cultural, environmental or social mission creating millions of jobs in the process. 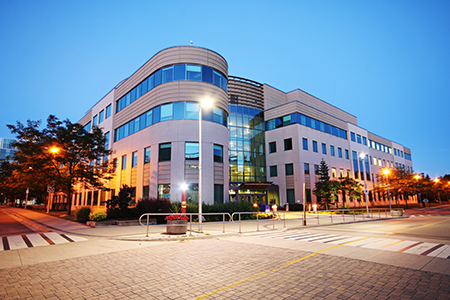 Commonly known as “Mac”, McMaster University is a public research University in Hamilton, Ontario, operating six main faculties, including Engineering, health science, and humanities. The University was named after William McMaster, a well-known Canadian Senate, and Banker who donated $900,000 to the founding of the University. The University has a total student population of over 30,000 with international students from as many as 79 countries. Their main campus is located in Westdale, a quiet neighbourhood in Hamilton, of which the campus covers an area of over 300 acres and is surrounded by beautiful views of Lake Ontario. The requirements for admission at the University vary between students from Ontario, other provinces in Canada and International students. As it stands presently, the acceptance rate for full-time, first-year students is 58 percent. The University has over 140,000 alumni in 140 countries worldwide, with many former students contributing to their communities and society. Most notable former students of McMaster include; Steve Mann, a researcher and inventor in the field of computation photography and Croatian Prime minister, Tihomir Oreskovic, just to mention a few. The University holds the international reputation of being a leader and innovator in the field of teaching, academics, and research. A member of the largest centre for math and computing in the world, the school maintains a strong interest in research with over 80 faculty members involved in 17 different research programs. 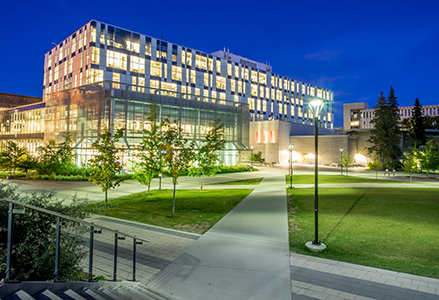 Their main campus sits on a vast 404-hectare piece of land in Waterloo, Ontario, providing programs in six specialist faculties and a further ten faculty-based schools. The University is home to distinguished Fellows of The Royal Society of Canada, The Mathematics Association of Canada, Fellows of the Institute of Electrical and Electronics Engineers, and many winners of awards from other international research societies. Many of the faculty members have also won awards for their excellence in teaching within the areas of Mathematics. Founded in the year 1945 and situated in Calgary Alberta, the University of Calgary is comprised of 14 different faculties and more than 85 research institutions and centres. The University was the first to invent the neurochip and has a sponsored research revenue of $352 million. The school’s department of environment and engineering is still involved with petroleum and geoscience industries that value its input and research findings. The University offers 150 programs in post-secondary education and the awarding of bachelor's, masters, and doctorate degrees. With 2,596 teaching staff and 2,777 management and professional support staff, the University is also one of Calgary’s biggest employers. The University of Calgary also has a campus in Doha, Qatar which was officially opened in 2007, and has many more partnerships and agreements with Universities in 140 countries across the world. 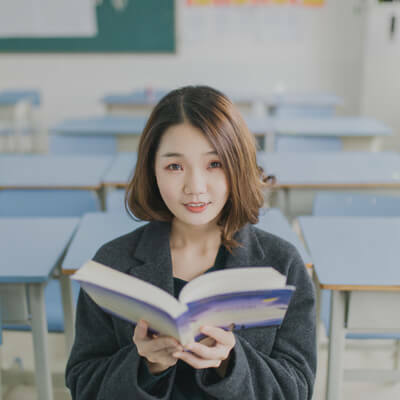 The quality of education offered at Canada’s top Universities ensures that international students are able to fulfil their ambitions and professional pursuits. And at CanadianVisa.org our international acclaimed Immigration Consultants will help you throughout the application process. From selecting and applying to the right university for you to writing a university application letter. Our RCIC consultants work closely with select universities and specialised colleges across Canada, giving your application the best possible chance of success.